Tomorrow is Ash Wednesday. Millions of Christians will seek forgiveness for their sins. To signify this, they will wear a cross on their foreheads The cross symbolizes God's mercy and the sacrifice of Jesus. Typically, the cross is made up of the ash of burnt palm branches from the previous year's Palm Sunday celebration, marked upon the foreheads of seekers by a priest or pastor. 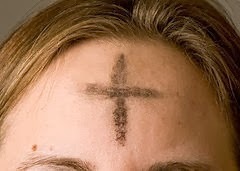 Ash Wednesday marks the beginning of the six-week period called Lent. During the six week period, many people will give up something they enjoy, such as chocolate, or alcoholic beverages, or favorite foods, to help remind them of the suffering of Christ. Others may add more prayer to their daily office, or spend more time on more focused reading, or they may emphasize giving. As part of Lent this year, I thought it would be interesting to search the Internet for ideas on what to do during Lent. Here are some, along with my own. I hope to post more throughout the season. 1. Make up a prayer journal and pray for one different person a day for 40 days. You can get the list from your Facebook friends, family members, and the newspaper - whatever. Write in different colors each day, add pictures and art work. Write down any answers to prayer. 2. Gather one bag a day of stuff you don't need from your home and donate it to a thrift store or ministry (Pinterest). 3. For exercise, park at the back of the parking lot of stores or at church and walk. LifeTeen As you pass the cars, pray for their owners. 4. 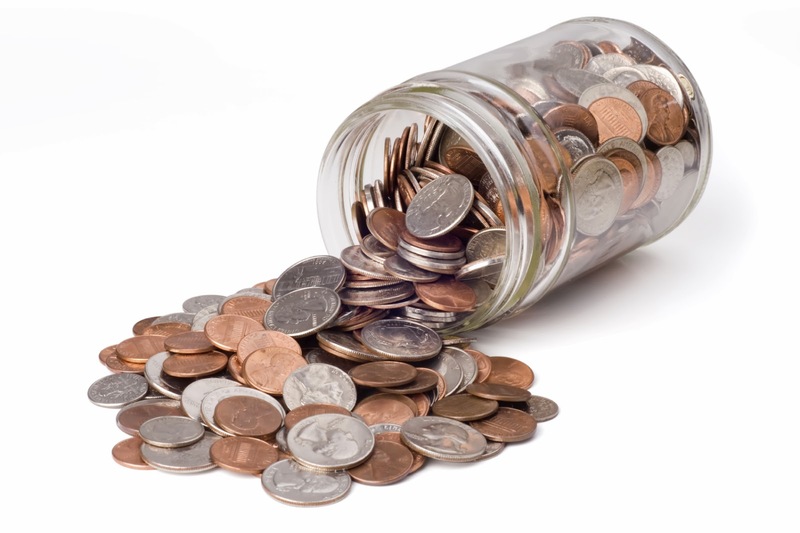 Dump change or $1 bills from your purse or wallet into a jar every day during Lent. At the end of the season give the money to someone in need, to a food bank, a ministry, your church or surprise your pastor with a financial gift. 7. Create a piece of artwork, a quilt, an afghan, or something in which your talent lies, and sell it. Give the money to people in need. Or, give your creation away to someone who needs encouragement. Use the time you spend making the project in prayer for the person or organization. 8. Try to quit complaining. Easier said than done! Drop some change into a jar every time you hear yourself start to complain. Give the money away at the end of Lent. 9. Create your own cards and give them to people who may need encouragement or to those whom you have not contacted in a while. You do not have to buy expensive materials; just use things around your house to make a collage. Tape a picture to the front or draw something, if you are so inclined. The point is to connect with people and let them know you and God care. 10. Keep an art journal close during your devotional time. Draw something or write in different colors in response to a verse that catches your attention. Some of these may not seem a big deal, or much of a sacrifice. In the overall scheme of things, and especially when contrasted against Christ's sacrifice, they are not. But the point is to use these things to help keep your awareness levels up, so that "... consistent participation in these practices — like exercise we do for our physical health — is a form of purification that improves our spiritual well-being by stripping away all that is unnecessary and by becoming more mindful of our ultimate dependence on God in our lives." What are you going to do during Lent?